The fate of Theo Padnos was ironically and tragically linked with that of fellow hostage Jim Foley. Obviously, Padnos was the lucky one, but he did not feel very fortunate during most of the nearly two years he was held hostage by al Nusra, the Al Qaeda affiliate in Syria. Somehow, Padnos endured regular torture sessions and prolonged bouts of hopelessness to tell his story and retrace his fateful steps in David Schisgall’s Theo Who Lived (trailer here), which opens this Friday in New York. The fact that Padnos (a.k.a. 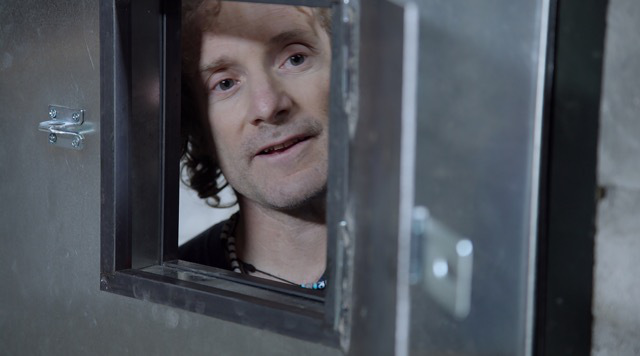 Peter Theo Curtis) entered Syria with the intention of writing a piece on hostage Austin Tice is an irony that gets buried in TWL (FYI, Tice is still being illegally held by his captors). Padnos (the name he used professionally, presumably because it sounded less American) was not exactly the most prominent freelance journalist, but he was (and still is) fluent in Arabic and highly versed in Islamic culture. Hoping to raise his profile with reports from the field, he slipped into Syria. In retrospect, he now readily admits this was rather rash and naïve. Padnos thought he had made contact with the Free Syrian Army, but they were really members of the al Nusra Front who were luring him in. They even went through the charade of sitting for interviews, before lowering the boom on Padnos. The months that followed would be filled with sadistic torture and emotional cruelty. Padnos actually escaped on several occasions, but in each instance, the institutions he turned to for shelter quickly gave him up to his abductors. Meanwhile, the Curtis family had forged something like a support system with the family of Jim Foley. Given their interests, the respective families assumed the two journalists would be fast friends should they ever meet, but that was not to be. Another irony that goes mostly unremarked is how the hostage-taking terrorists often abduct and brutalize the journalists who are most receptive to their claims of victimization. Even today, Padnos goes way, way out of his way to criticize the war in Iraq. He even claims he was better able to articulate his captors’ grievances than they were. However, this should not be simply ascribed to Stockholm Syndrome. He was clearly trying to win the trust of a high-ranking al Nusra commander, who took a personal interest in his disposal. Padnos’s testimony is often fascinating. Frankly he is probably tougher on himself than anyone else, which certainly bolsters his credibility. Still, his accounting of events in Syria is likely to be controversial, particularly because it differs (in unflattering ways) from that of his former cellmate, Matt Schrier, who escaped largely thanks to help from Padnos that was not or could not be reciprocated. However, Padnos’s compulsion to empathize with the familiar Islamist narrative of victimization quickly grows tiresome. 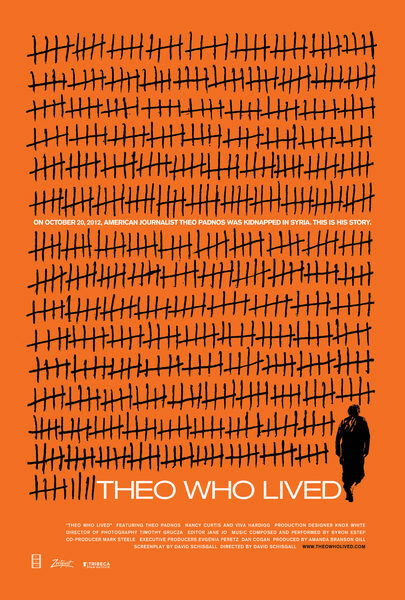 As a result, Theo Who Lived is much more compelling as a cautionary hostage narrative than as an actionable analysis of the Middle East foreign policy. Still, when Padnos chronicles al Nusra’s hasty retreat from Syria, getting strafed by Assad’s military forces, with ISIS in hot pursuit, it is hard to conclude the Obama-Clinton policies in Syria have been a rousing success. Recommended circumspectly for its intimate account of Islamist terrorism, Theo Who Lived opens this Friday (10/7) in New York, at the Lincoln Plaza.